This is one of my all time favorite ways to decorate for the Christmas season. 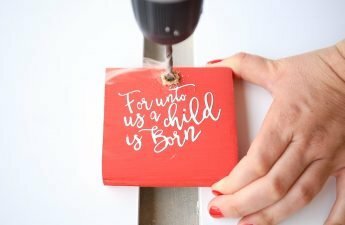 I think my home decor this year is a mix between the farmhouse look and classic red look! If you missed my Christmas Home Tour you can find it HERE.? 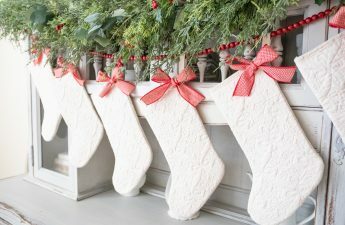 ?Its fun to try new looks each year as I dress my home for Christmas, but the classic red Christmas look never gets old! I have featured some of the classic things you’ll need to get your home holiday ready this Christmas season, including cable knit stockings, A beautiful artificial tree you can adorn with white and red ornaments and even a classic red and cream rug and sideboard! What are you favorite looks from this classic red Christmas shopping guide? Let me know in the comments below! If you have dressed your own home in red this year let me know what your favorite element is! 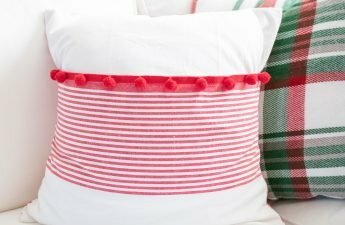 MY personal favorite element in my home this year are the red and white ticking stockings from the shop Little Bits of Everything found HERE ?Growing up Santa always filled our stockings with the most amazing little knickknacks. So much thought was put into the little details of our stockings and I loved opening them up each year. Santa also included a movie with each stocking, some of my favorite memories of Christmas is lounging around our home and watching movies! What are your favorite memories from the holidays?! ?For your convenience this post contains affiliate links. 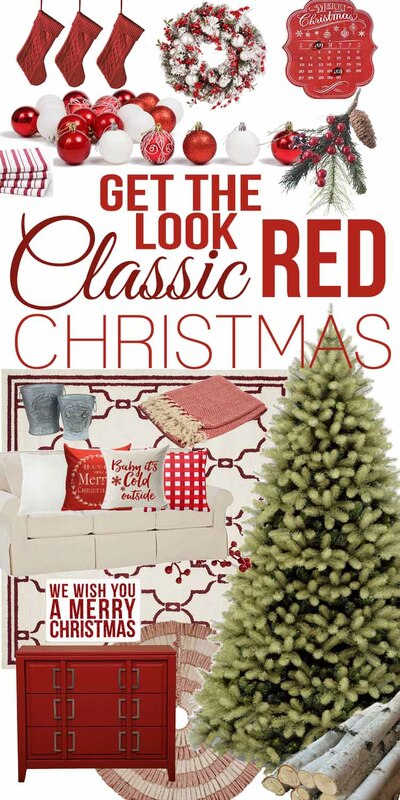 I hope you found this classic red Christmas look shopping guide inspiring and you have some new ideas to get your home ready for Christmas! Don’t forget to pin the image above to save this idea for later! I am so happy to have you here so thank you for stopping by!